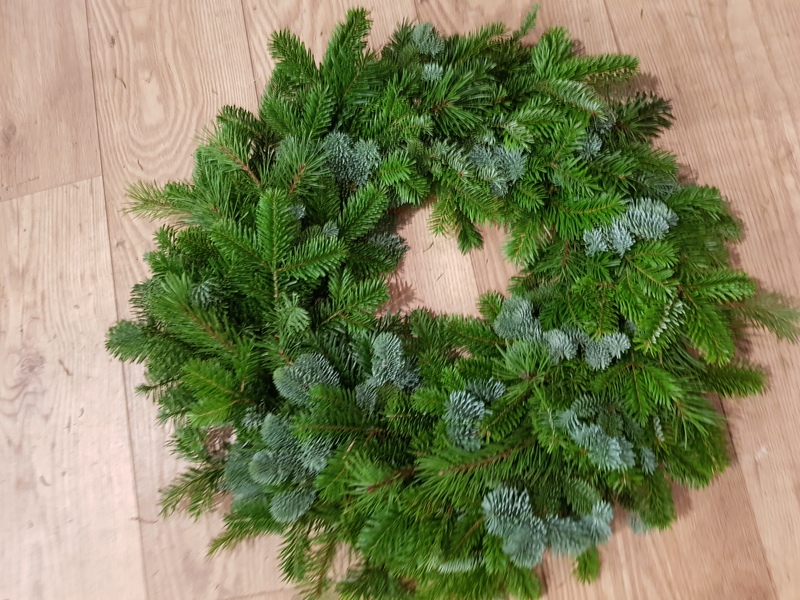 Beautiful wreathes with a large amount of variety in between them so be sure to look around in order to find one that suits you. 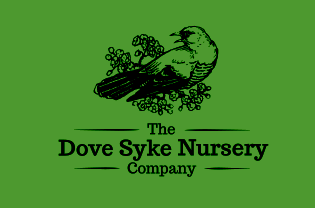 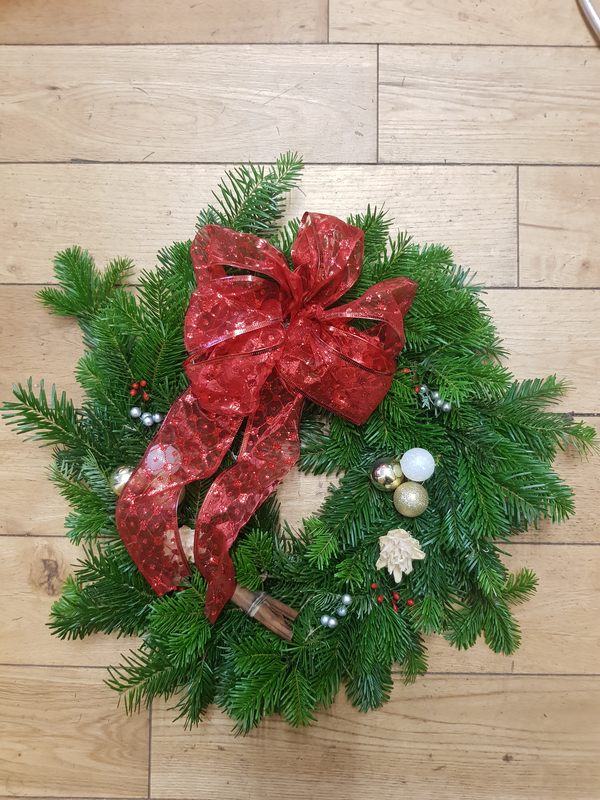 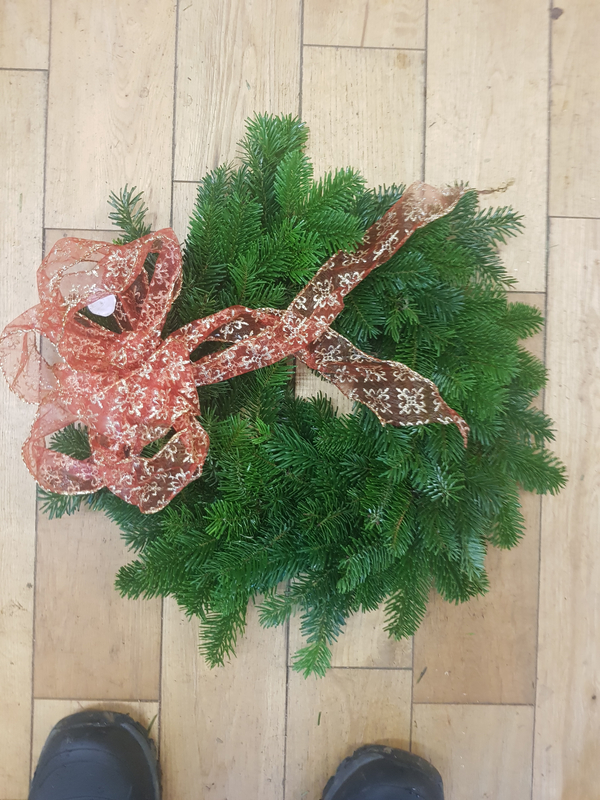 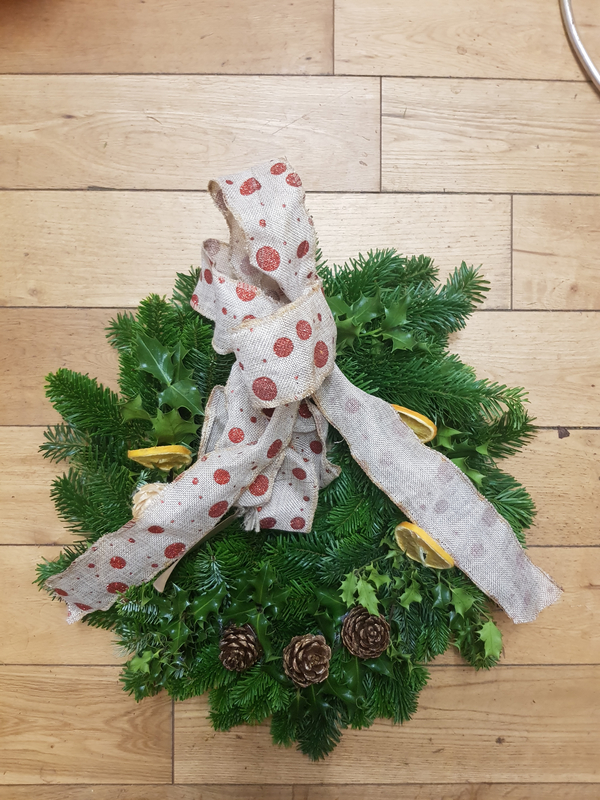 All our wreathes are handmade on site from our own trees so you can be certain of their high quality. 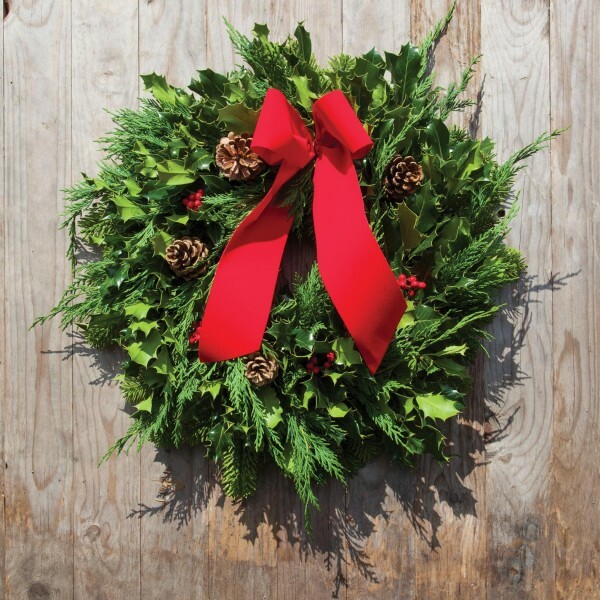 Our wreathes are handmade by people who have experience in the field, only the most professional wreathes that are made are put up for sale. 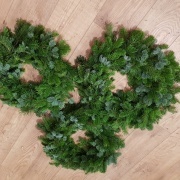 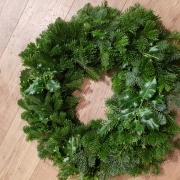 We have lots of different kinds of wreathes, as well as many variations on the decorations we put on them. 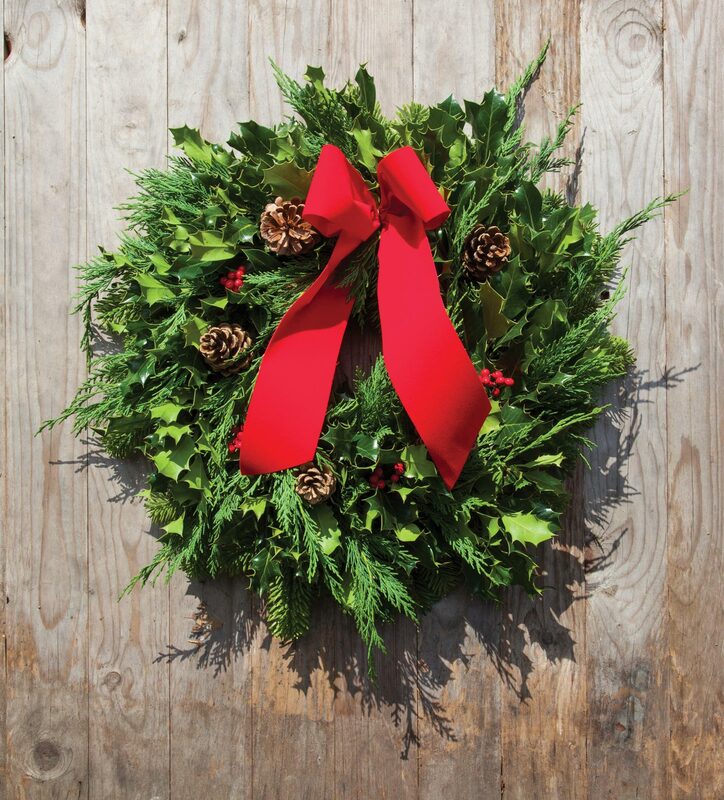 You’ll be able to find dried fruit, pine cones and stars backed up by strings, ribbons and berries on our wreathes. 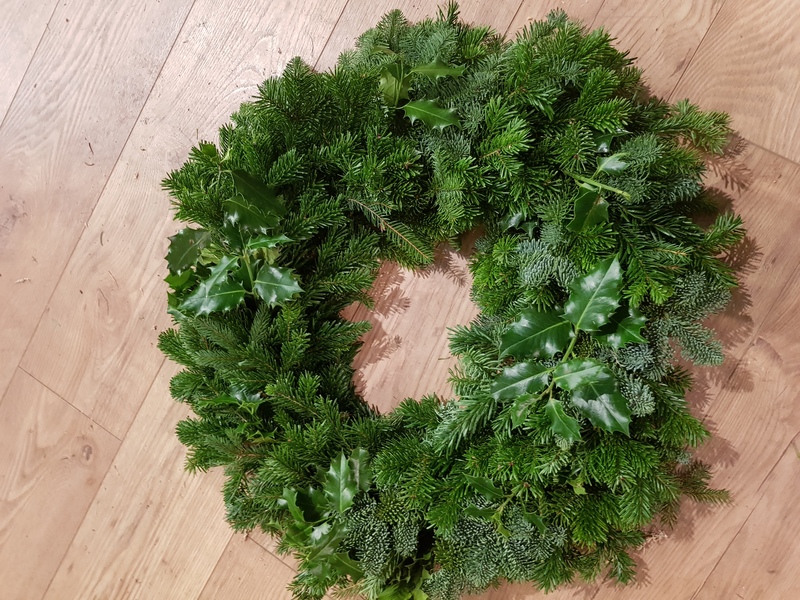 They come in different sizes and are a wonderful way to bring a real festive feel to your home, no matter whether it’s hung up in your hall or on the front door. We use our own grown trees to create our wreathes so you can be sure of their freshness and longevity. 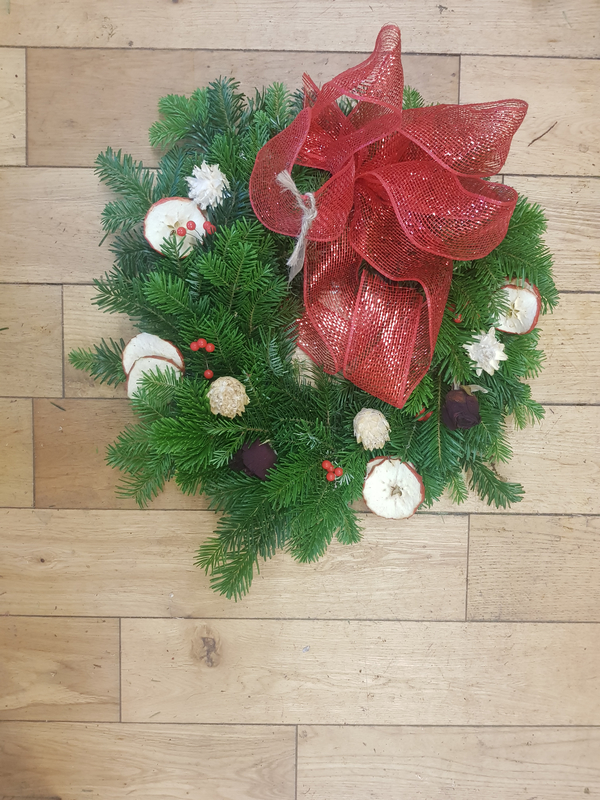 Dried apples are an excellent way to add a creamy colour which stands out against the red skin of the apples. 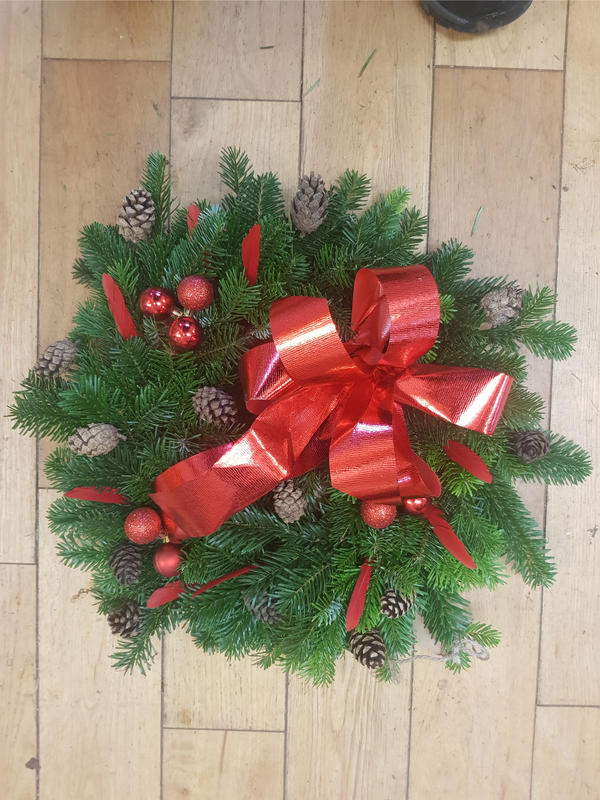 Baubles sit snugly in your wreath and are a fantastic small way to add a little colour to your wreath. 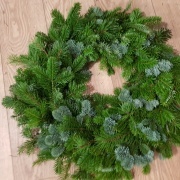 Pinecones from our own trees are used to add a festive spirit to your wreaths. 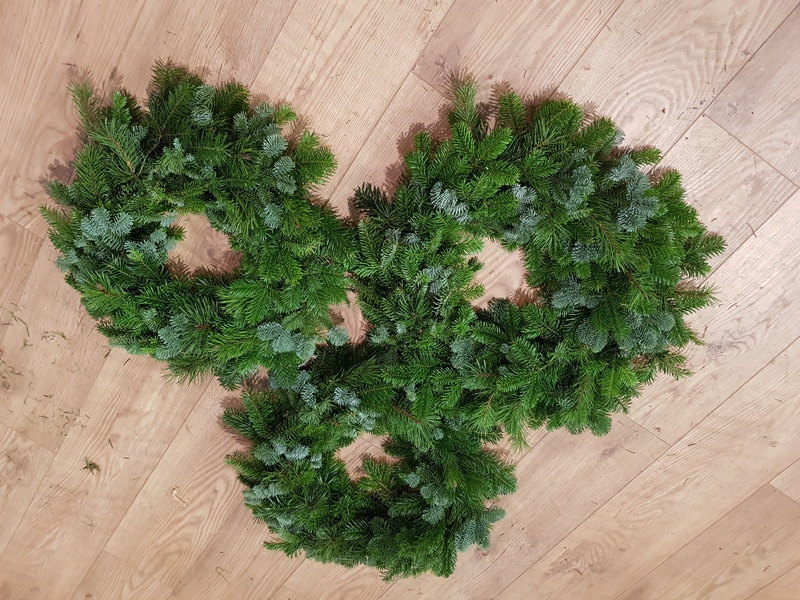 Ribbons are a fantastic way to change your wreath from being a simple green ring to a stunning Christmas decoration. 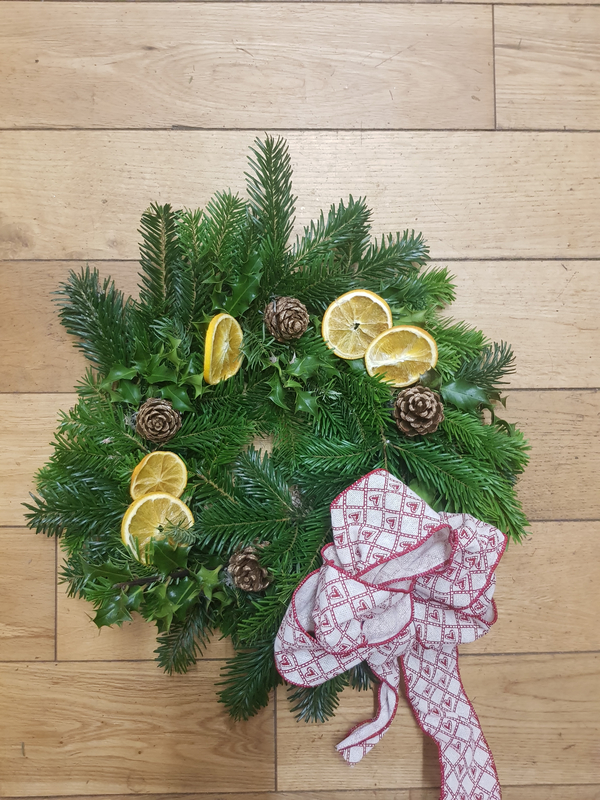 Sharper than oranges, lemon slices give a fresher smell and sharper contrast. 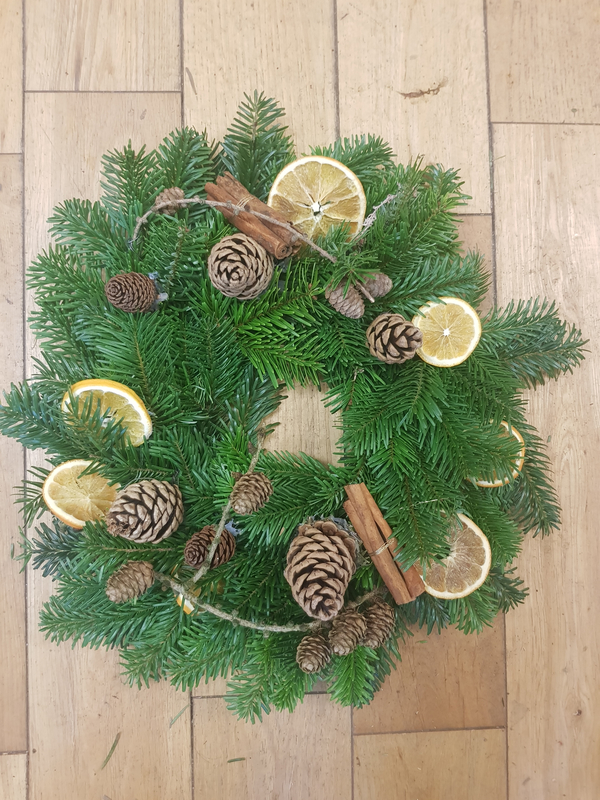 Orange slices give a fresh smell as well as providing bright colours to your wreathes. 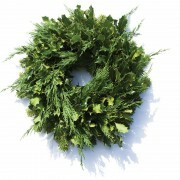 Cinnamon is used to create a sweet aroma that emanates from the wreath and creates a warm atmosphere within your home. 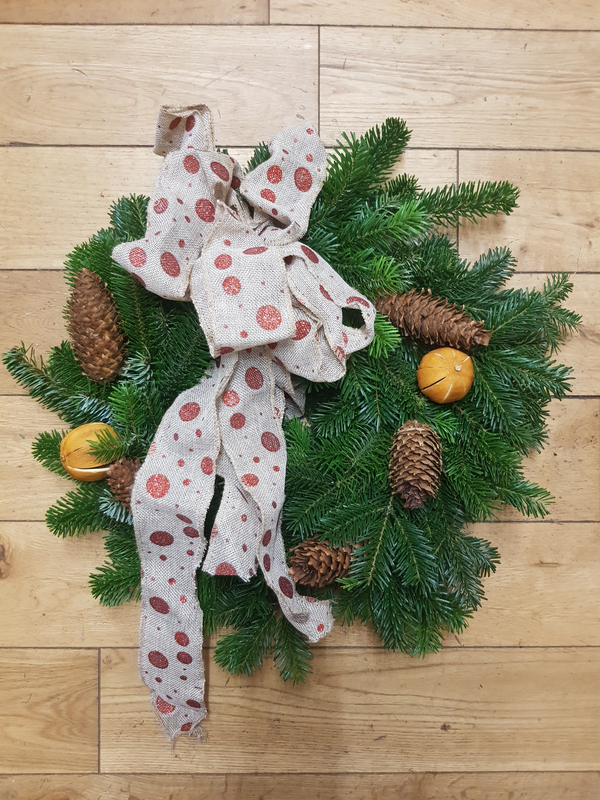 Hollow oranges are used to create a strong contrast between the green needles & brown pinecones.